Bhagat Singh spent the last two years of his life in jail, awaiting execution. During this time, he and his comrades fought one of the most celebrated court battles in the annals of national liberation struggles, and used the court as a vehicle for the propagation of their revolutionary message. They also struggled against the inhuman conditions in the colonial jail, and faced torture and pain. Their heroism made them icons and figures of inspiration for generations to come. All this is well-known. 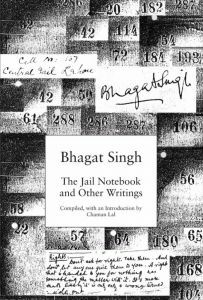 What is not so well-known is that Bhagat Singh wrote four books in jail. Although they were smuggled out, they were destroyed and are lost forever. What survived was a Notebook that the young martyr kept in jail, full of notes and jottings from what he was reading. In the year of his birth centenary, LeftWord is proud to present his Notebook in an elegant edition. 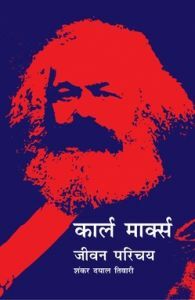 This edition has been checked against the copy preserved in the National Archives of India. The Notebook is richly annotated by Bhupender Hooja; and the annotations have been revised and updated for this edition. Also included are the most important texts that Bhagat Singh wrote in jail, Chaman Lal's lucid introduction, the New York Daily Worker's reports and Periyar's editorial on the hanging.